Can I Transfer My Property To Someone Else Before I File For Bankruptcy? You own a 2009 Toyota Prius that is paid in full (i.e. there is no loan against it). The fair market value of the automobile (according to NADA standards) is right around $18,000.00. Which means that the Chapter 7 Trustee would be insanely interested in taking the car, selling it, and using the proceeds to pay off your unsecured creditors (like credit cards, medical bills, payday loans, etc.). Knowing this, you give the car to your mother (by quit claiming the title of the car, so that ownership transfers from you to her). And then you file a St. Louis Chapter 7 bankruptcy. All assets and debts have to be disclosed, but a lot of other information has to be made public as well. For instance, one of the questions that the government will want answered is: “Have you transferred or given away anything to anyone in the year preceding the filing of this bankruptcy?” The question must be answered truthfully (believe me, you do not want to suffer the consequences of being sued by the US Attorney in this district after an FBI investigation), which means that the Trustee will now be made aware of the fact that such a transfer occurred. As a result, the Trustee will request contact information for your mother, and he will make demand from her for the car. How can he do this? Because he has the power to undo a transfer (even one that was legally created by way of a quit claim deed) that occurred within one year preceding the filing of the bankruptcy. This power is available to him because there is an automatic assumption that you made the transfer so as to hide an asset that otherwise would have been available to the Trustee (and will therefore be considered an attempt to defraud your creditors). And hopefully your mother still has the car, because if she has sold it, the Trustee will demand whatever the value of the car was on the date of the sale (which as I mentioned, is close to $18,000). This same set of facts can be applied to essentially any asset that is transferred. And if the value of the property transferred is high, the more interested the Trustee will become. 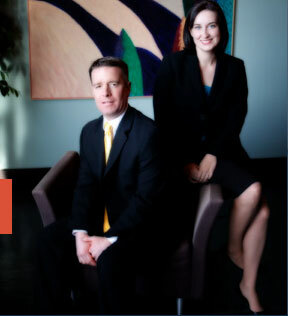 The St. Louis bankruptcy lawyers at Brinkman & Alter, LLC have the experience and knowledge necessary to make you aware of any outcomes that may result from the decisions you make prior to filing for bankruptcy. Our attorneys are prepared to guide you through the entire process, and get you the fresh start / clean slate that you deserve.